September is both Sickle Cell Awareness Month and Childhood Cancer Awareness Month—causes that you can help with just by donating blood. The American Red Cross encourages eligible donors to give blood to support kids, teens and young adults battling cancer, as well as others in need of transfusions. In addition, sickle cell is the most common genetic blood disease in the U.S., affecting as many as 100,000 people. Regular blood transfusions are one of the most common treatments for sickle cell disease, which have been proven effective to treat some severe complications from the disease including stroke and damage to major organs that can lead to severe infections. Blood transfusions increase the number of normal red blood cells in the body, helping to deliver oxygen throughout the body and unblock blood vessels. 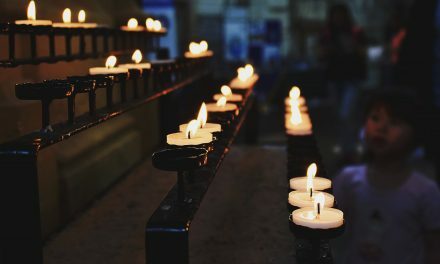 Below you’ll find five amazingly inspiring stories of people whose lives were saved by blood donations—some of whom were blood donors before or after they were in need themselves. When Braden Green was born in 2006, his parents were thrilled to welcome their miracle baby. But when he was just three months old, they faced a scary reality. Braden had been diagnosed with sickle cell disease, a common red blood disorder. “It was a terrifying illness that we were unaware of,” said his mother, Brenda Green. Doctors began treatment when Braden was just six months old. 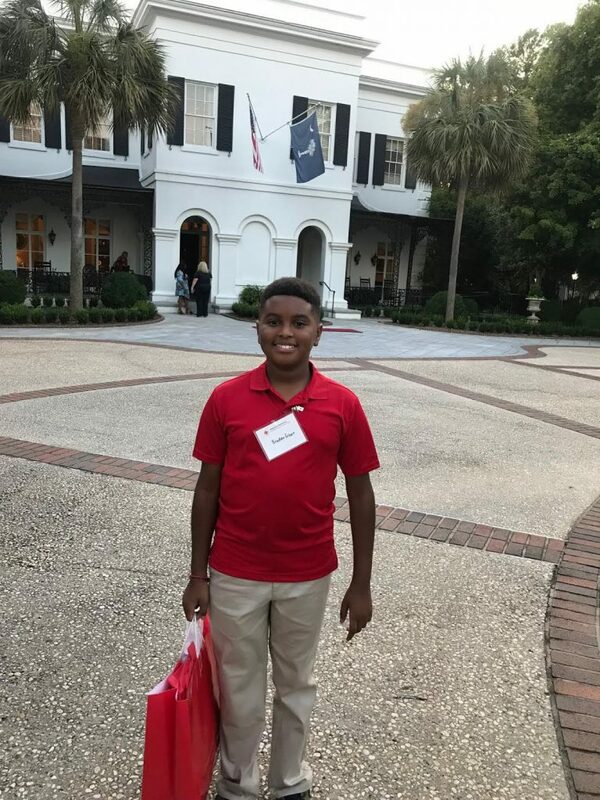 Since then, Braden has been admitted to the hospital several times — treated for everything from pneumonia to a minor stroke due to complications from sickle cell. However, the first time Brenda watched as her son received a lifesaving blood transfusion, her perspective changed. Braden had been admitted to the hospital for pneumonia, but doctors soon identified Braden had acute chest syndrome. Acute chest syndrome is the leading cause of death for patients with sickle cell. At the time, a blood transfusion was critical to Braden’s survival. Since the day Brenda witnessed a blood transfusion bring life back to her son, she has become a dedicated advocate of blood donations, particularly in the black community. Sickle cell disease is most common in people of African descent. One in 12 African Americans carries a sickle cell gene. Sickle cell disease forces Braden to live a life that’s different from most of his friends. He’s restricted from some activities – particularly playing sports. But when he can, Braden enjoys playing baseball and kickball. He gives his all on the field, just as he does from day to day as a sickle cell warrior. Wren Jansen was diagnosed with acute lymphoblastic leukemia, the most common form of childhood cancer, at age 3. 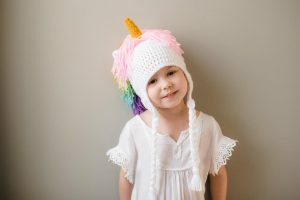 In the two years since her diagnosis, Wren has received 16 blood and platelet transfusions, which she calls “unicorn juice,” thanks to a crafty nurse who used the term to calm her fears during treatment. These gifts from generous donors truly are “magical” and have helped restore Wren’s strength and spirit so she can be a normal 5-year-old and fight back against cancer. In December, Wren and her family hope to mark a special milestone – the end of treatment and the battle with cancer won. Living with sickle cell disease can be challenging. 12-year-old Tymia McCullough, of Georgetown, SC, knows the struggles firsthand. 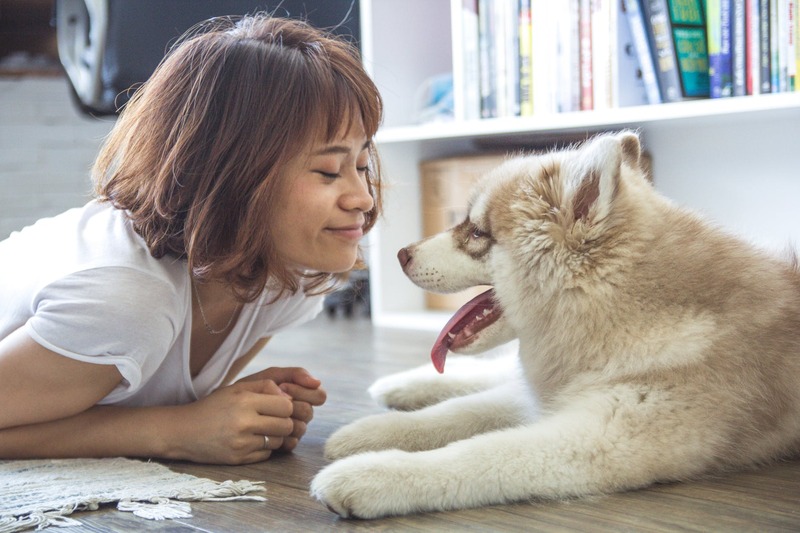 Tymia has already been hospitalized multiple times, received more than 50 blood transfusions and experienced surgeries to remove her spleen and gallbladder. She once went to the hospital for an emergency blood transfusion only to find out her blood type wasn’t on the shelves. “It was very scary because I thought that she would not be able to get it,” said Tymia’s mother Susie Pitts. “In that moment, in that experience, I was very afraid. I was scared for my daughter’s life – what was going to happen if she didn’t get the blood that she needed? When it finally came through, the nurse came rushing through the doors and was like ‘We got it! They found it!’” The side effects of sickle cell can make Tymia feel ill and slow her down from doing the things she loves – dancing, cheerleading and modeling. However, her determination to fight the disease continues to push her to challenge herself and inspire others. “You can be anything or do anything – you just have to put your mind to it,” said Tymia, who is hoping to be a pediatrician and a model when she grows up. 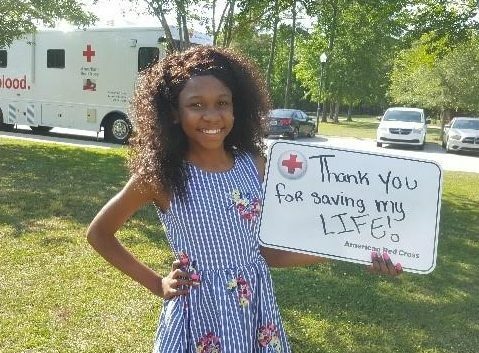 Tymia and her family now work tirelessly to inspire people to donate blood in their community and across the country. 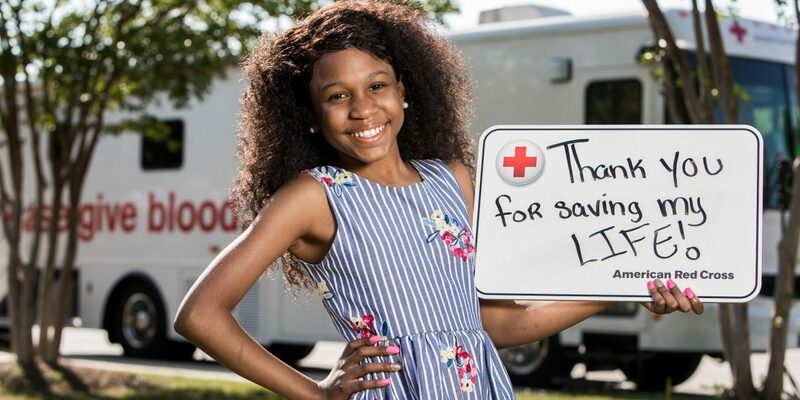 Tymia is an ambassador for the Red Cross and once received an award for most community service hours served in the nation in her age division. Along with raising awareness for blood donations, Tymia and her family help at animal shelters, donate to charities and help the homeless in their community. Lily was just 5 years old and recently diagnosed with leukemia. Her doctors put her on an aggressive treatment plan which included multiple blood transfusions, chemo treatments and other treatments. Though her diagnosis was terrifying and her treatment plan was initially frightening—Lily’s fight inspired her community to come together help save not only her life but other lives by rolling up their sleeves and donating blood. Lily’s elementary school, Wheeler Elementary, has hosted numerous blood drives over the years. But following Lilly’s diagnosis in 2011, the annual drive was elevated to a whole new level as students learned firsthand the importance of donating blood. Tracy Logan, principal of Wheeler Elementary School, said, “Blood drives are a great way to teach our 650 students about life’s most important lessons which are much bigger than math or reading or writing. It became apparent she (Lily) would be our reason for rallying the troops and making our blood drive a success.” Since then, the Wheeler Elementary School blood drive has grown to a bi-annual event, collecting over 1,600 units of blood and recruiting more than 160 new blood donors. “It is more than a blood drive, it’s a gym filled with love and a community helping to save lives together, while giving great hope,” said Lily’s mom, Susie Dotson. 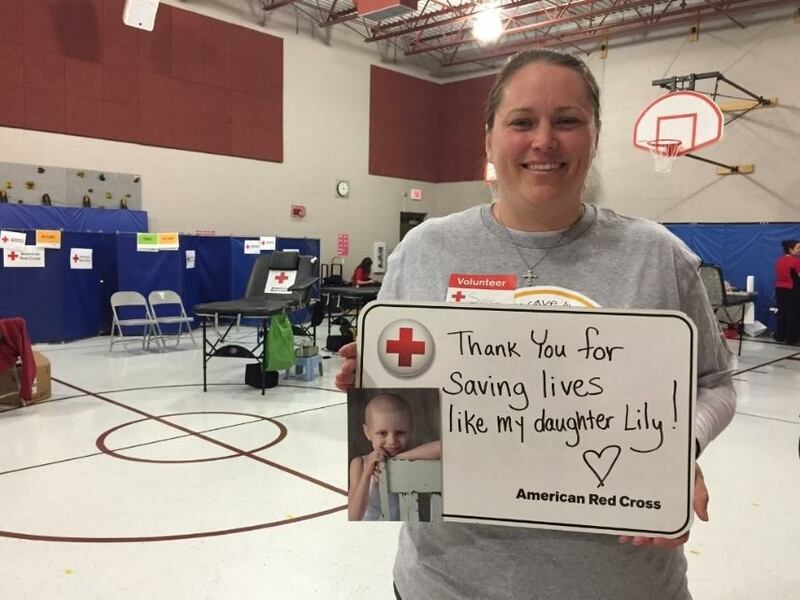 In 2014, Lily received the Red Cross Lifesaving Award for all her efforts to help recruit new blood donors and collect much-needed blood donations for patients. Today, Lily is 11 years old and heading into middle school—she has been cancer free for four years. After being diagnosed with prostate cancer in January 2017, Bill Goldsworthy, a former mayor of West Pittston, Pennsylvania, knew he had to get better. Not only for the sake of his family, but also so that he could continue to donate blood to help others in need. With type AB blood, a rare blood type that is the universal plasma type, Bill had consistently donated plasma and platelets since 2002—his father was a long-time blood donor and inspired Bill to follow in his footsteps. Bill’s diagnosis meant he had to pause his generous donations to work toward a clean bill of health. Last month, Bill was given a letter stating he was one-year prostate cancer-free, making him eligible to donate plasma and platelets again. 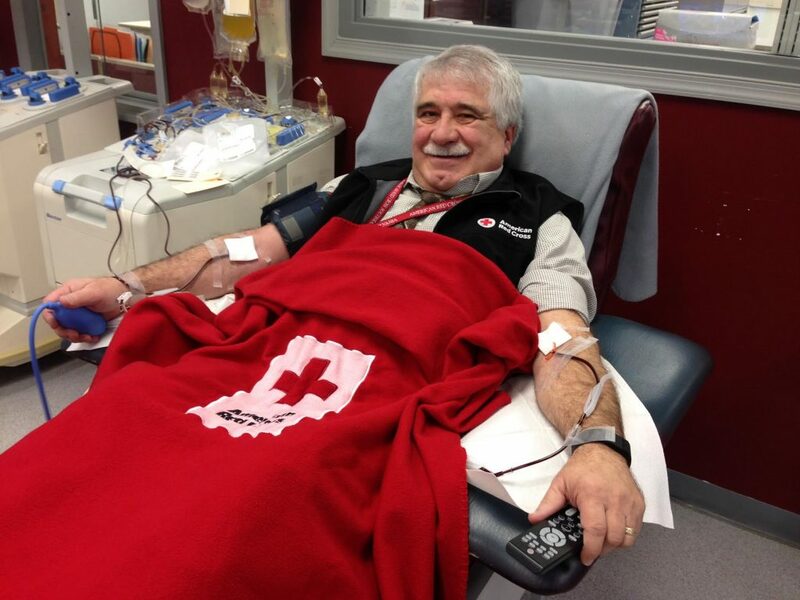 One of the first things he did upon hearing the news was to set up an appointment with the American Red Cross to continue where he left off—back in the blood donor chair saving lives. 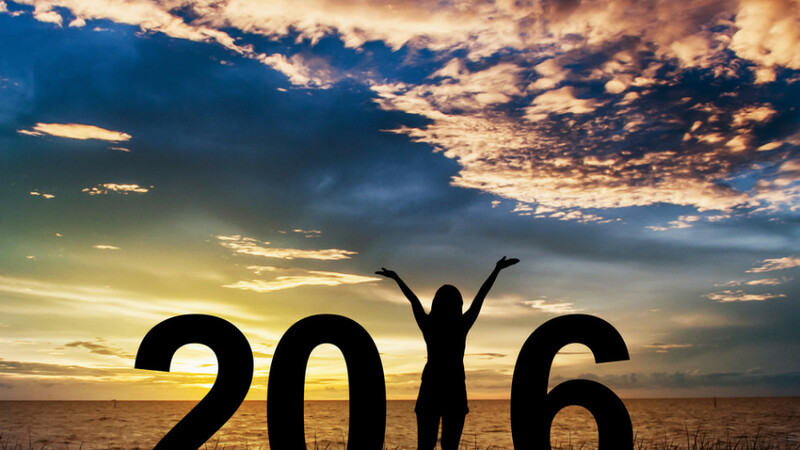 “This is one of the easiest ways to give back because your body regenerates it. To me it’s a no brainer. Everyone should be donating blood,” said Bill. The American Red Cross needs to collect more than 13,000 blood and platelet donations each day to meet the needs of patients at approximately 2,600 hospitals and transfusion centers across the country. And its people like Bill who roll up their sleeves and generously donate to support accident victims, cancer patients, surgical candidates, children with blood disorders and others. To learn more about how to donate and eligibility, please click here. 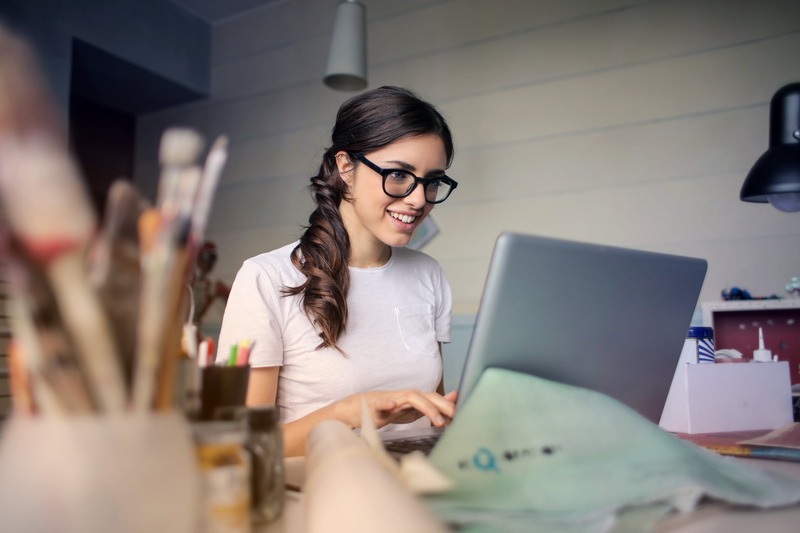 Or, check out the volunteer posting here on GozAround.